Agnes Mc Cann, Welsh born of Irish descent from Cardiff took part in the junior British open Kickboxing championships held at the national sports centre in Birmingham on the 22nd May 2011. 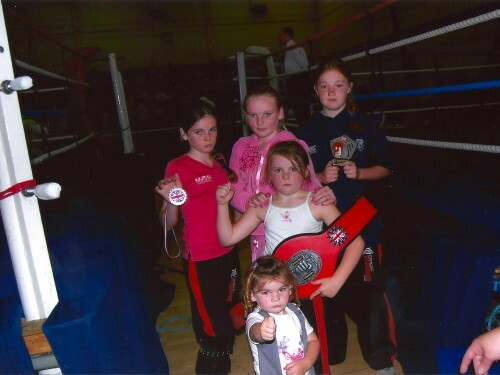 Agnes’s won the 7-9 years category competing against 7 boys and one girl to win the title and belt. Agnes trains at the “unlimited fitness centre” city road, Cardiff with trainer Denzil Lawrence.